While NC Highway 261 is only 12.8 miles long, the curvy road is packed full of great views as you climb 3,000 feet in elevation to the Roan Highlands. 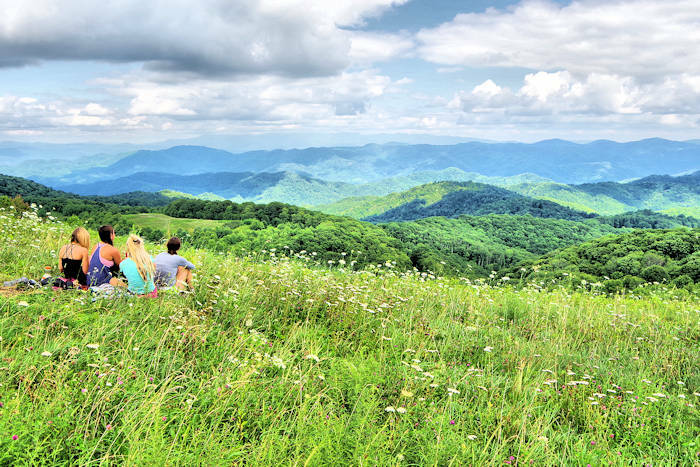 This mile-high scenic drive begins in Bakersville by the historic courthouse and downtown galleries. Drive by rolling farmland and cascading streams as you begin a gradual ascent through Pisgah National Forest and Mitchell County. Pass through the communities of Cookstown and Glen Ayre, and look ahead for views of Roan Mountain. The highway snakes up the ridge to reach Carver's Gap (elevation 5,500 feet) at the Tennessee state line and crossing of the Appalachian Trail. There's a parking area to the left if you want to hike across the balds for spectacular views. In April-November, you can take the drive to the left into the Recreation Area for a picnic area, rhododendron gardens and more trails (read more). 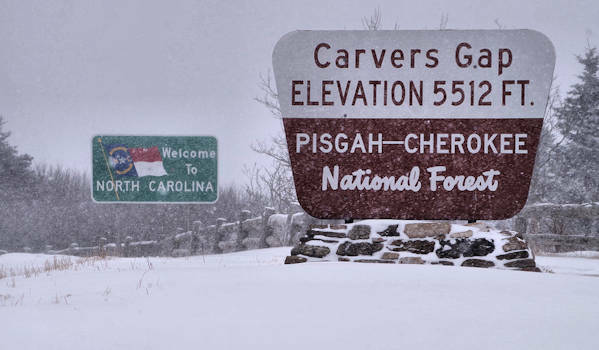 Take a jacket even in the summer since temperatures at the mile-high pass often run 15-25 degrees cooler than Asheville. For more views on the Tennessee side, continue the highway which turns into TN State Route 143. There are a few places to park along the road to enjoy more mountain views. 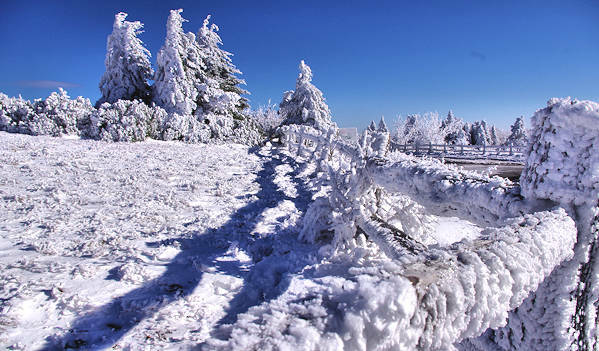 Turn around at one of the overlooks or continue 8 miles to the Roan Mountain State Park. 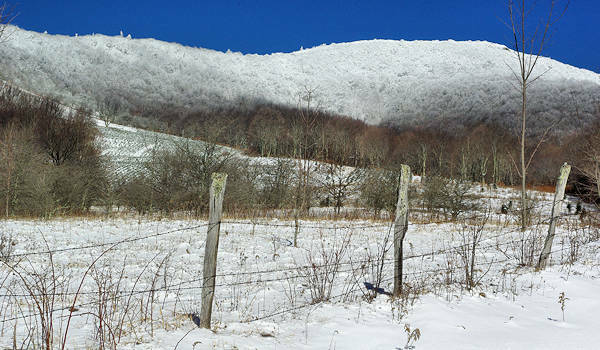 During winter, the Carver's Gap area is often covered in snow and rime ice. The roads are plowed and treated, so they are usually in good shape. 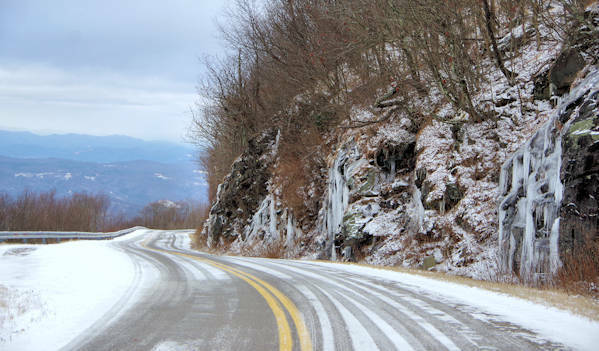 Many times, the temperature will drop up to 25 degrees as you drive from Bakersville. So sometimes snow is found just atop the ridge. For snow lovers (like us), it's one of the rare spots to enjoy amazing snow scenes from your car. Or take a winter hike (read more). 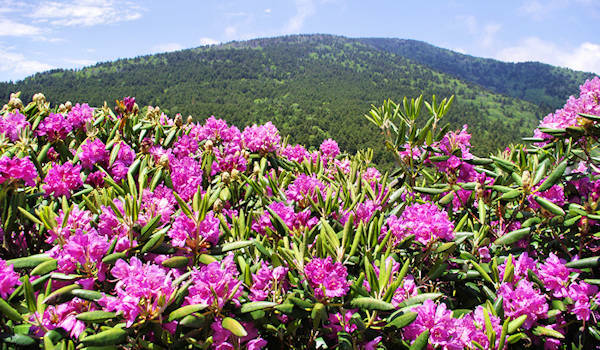 Each June, the massive, natural rhododendron gardens on the bald mountains bloom. This display attracts visitors from across the country. 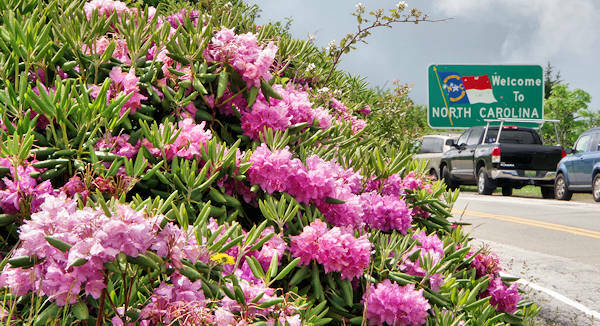 There's even a pair of Rhododendron Festivals - one in Bakersville and one a the TN state park. Read more. 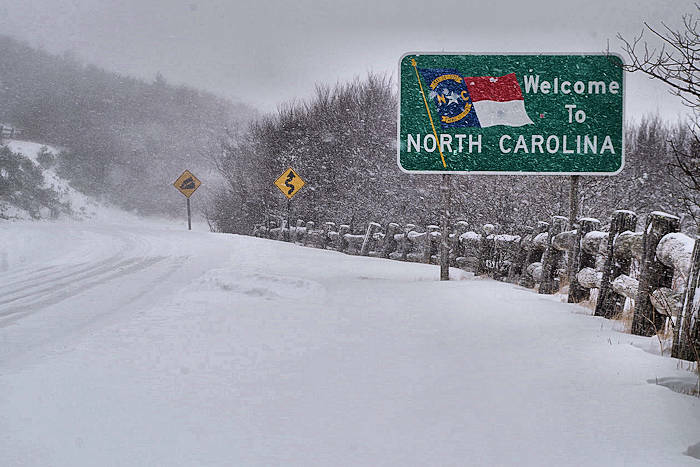 From Asheville, it's a 55-mile drive to Bakersville - allow 1.5 hours. 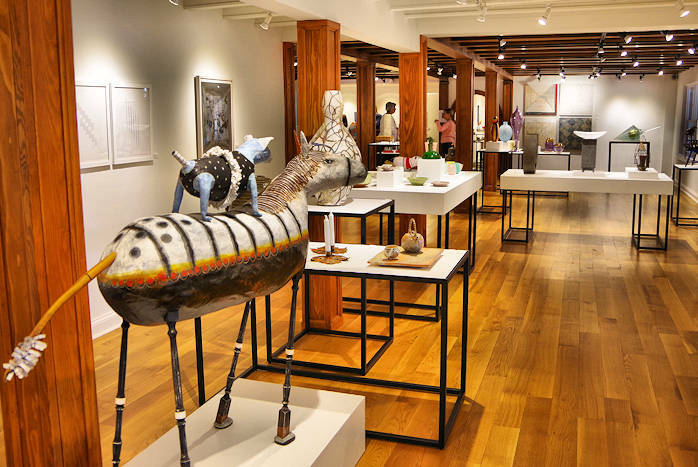 Penland School of Crafts is just 8 miles away. Read more about Bakersville.